Hand or machine wash in lukewarm water on gentle cycle. Do not use chlorine bleach on any fabric containing spandex. Rise thoroughly, Drip dry. If machine dried, use low temperature. 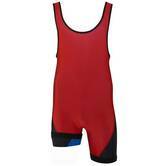 The ASICS Reversible Modified Singlet is very similar to the ASICS Solid Modified singlet, except it has red on one side and blue on the other. 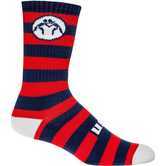 They do this by quite simply sewing two sets of singlet material together. 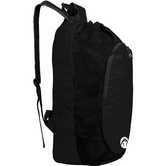 Because of this, the Reversible Modified has less stretch than the Solid Modified. We recommend going up one size from what you would normally get, according the ASICS size chart. 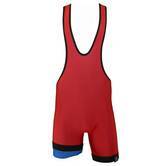 The reversible style of singlet is ideal for freestyle and Greco wrestling tournaments, in which you are usually required to change your singlet color several times throughout the competition. 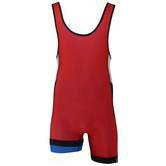 Having one reversible singlet will end up being less costly than buying two singlets separately. Do you ship overnight, and if so, what is the cost?